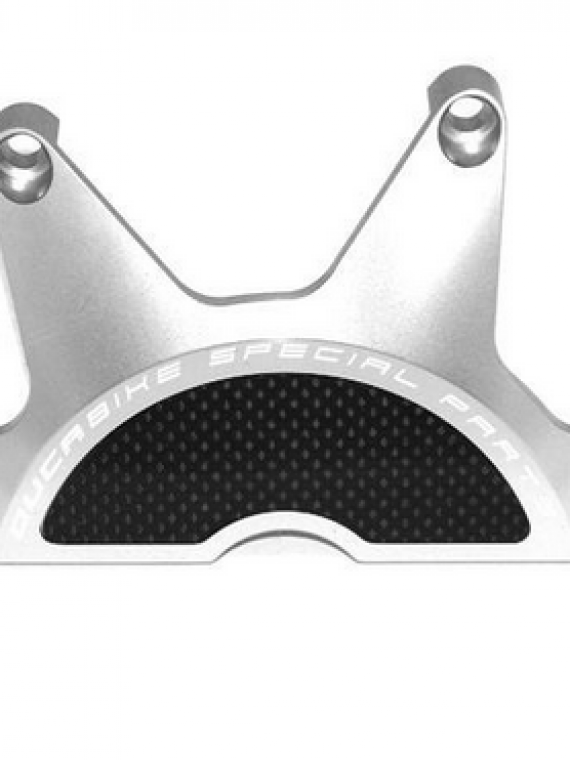 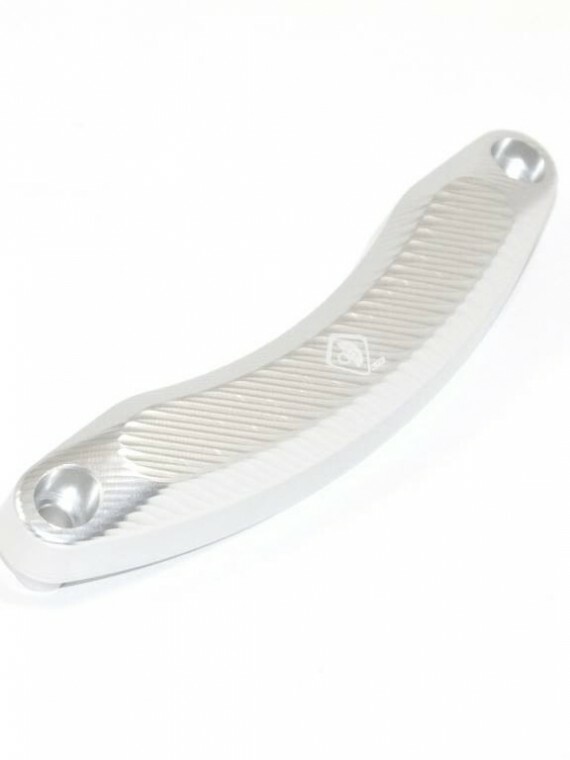 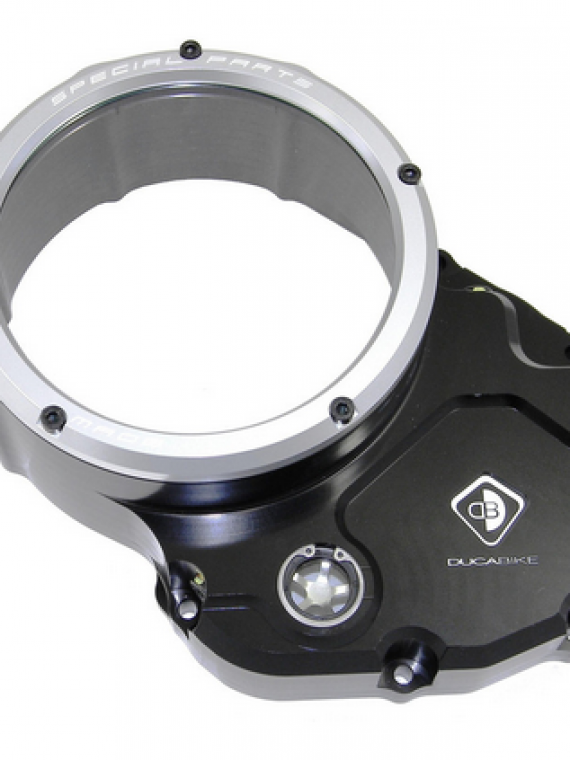 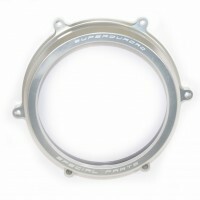 Ducabike Ducati 1199 Panigale clear clutch cover. 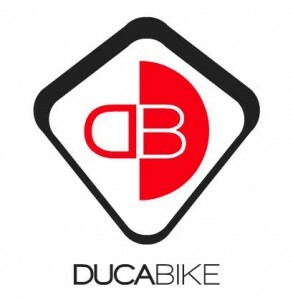 This is a very unique item that is only manufactured by Ducabike. 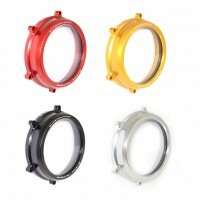 CNC machined from aluminum then anodized in black, the leading edge of the outer cover will protect the Plexiglas cover from breaking in the event of a fall. 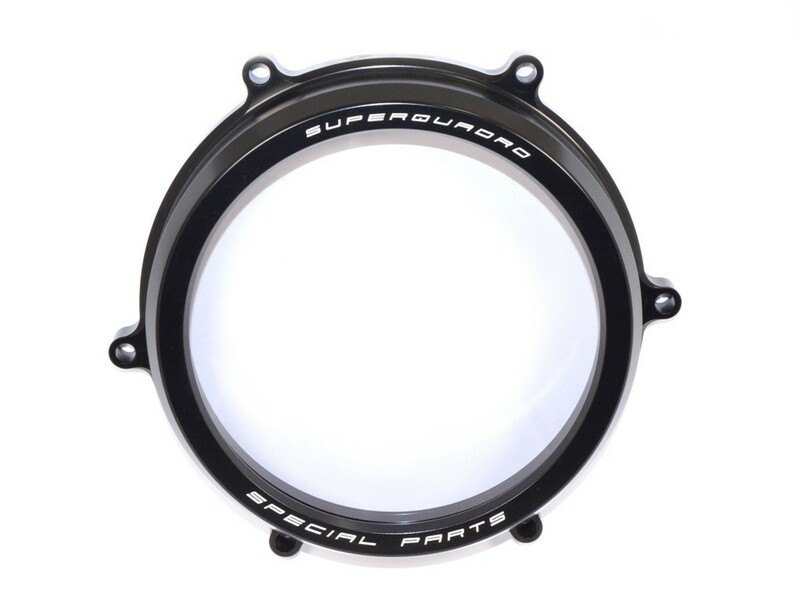 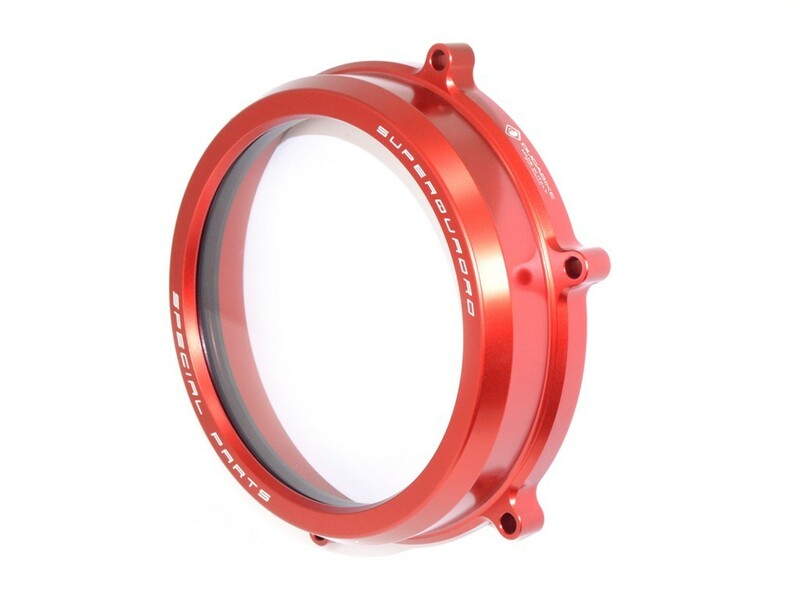 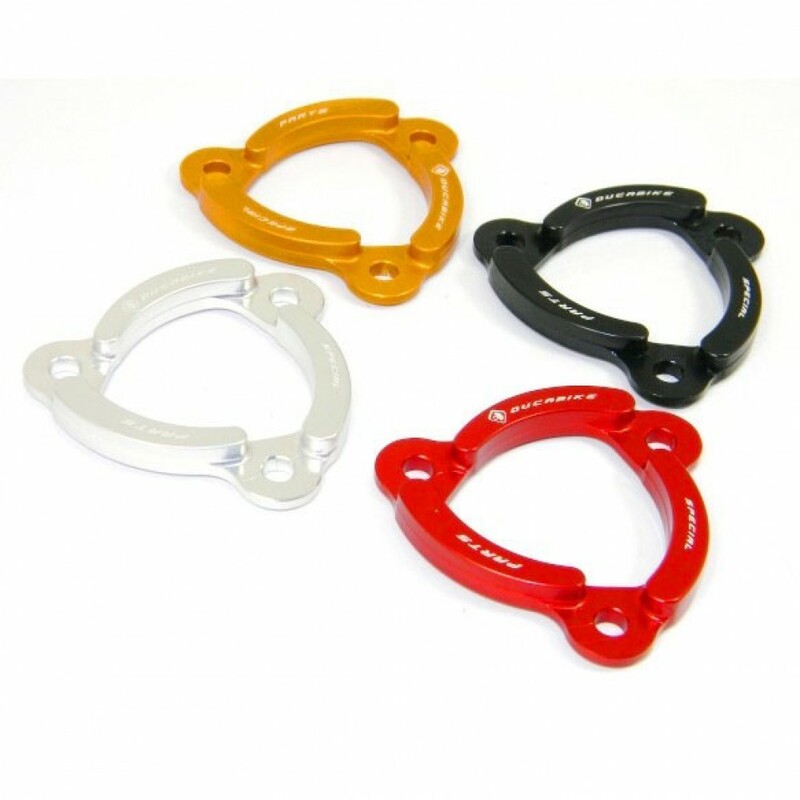 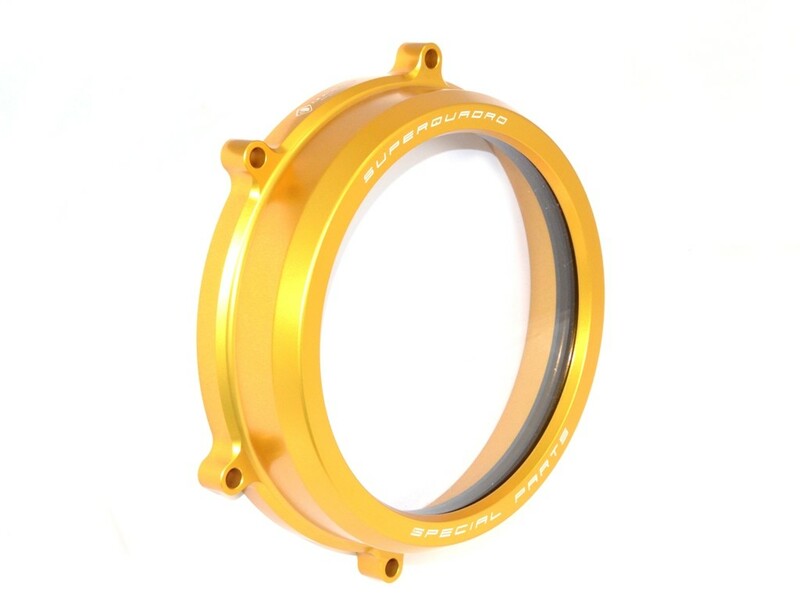 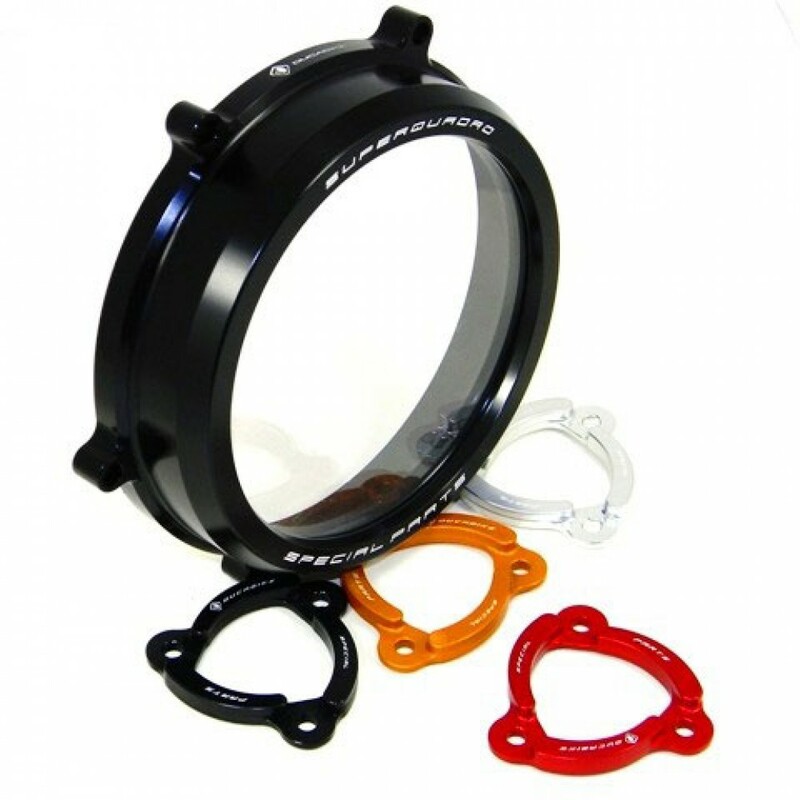 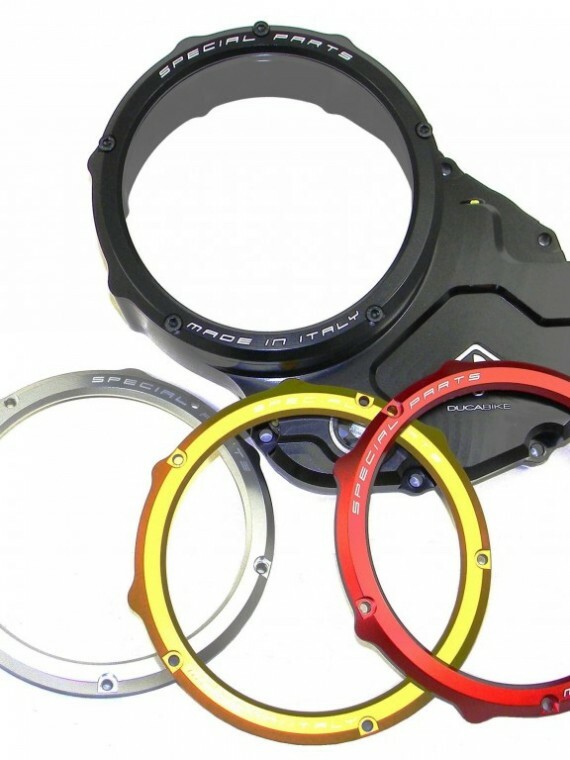 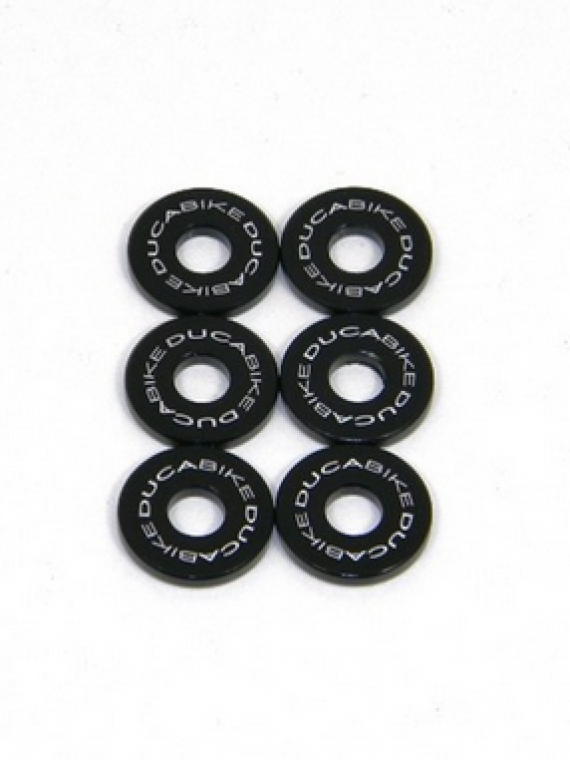 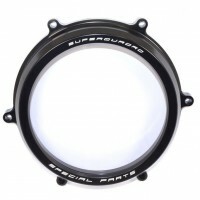 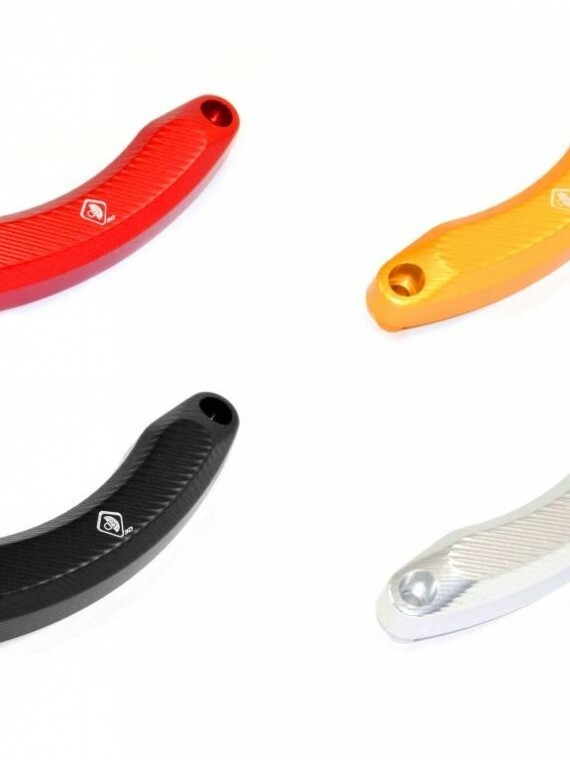 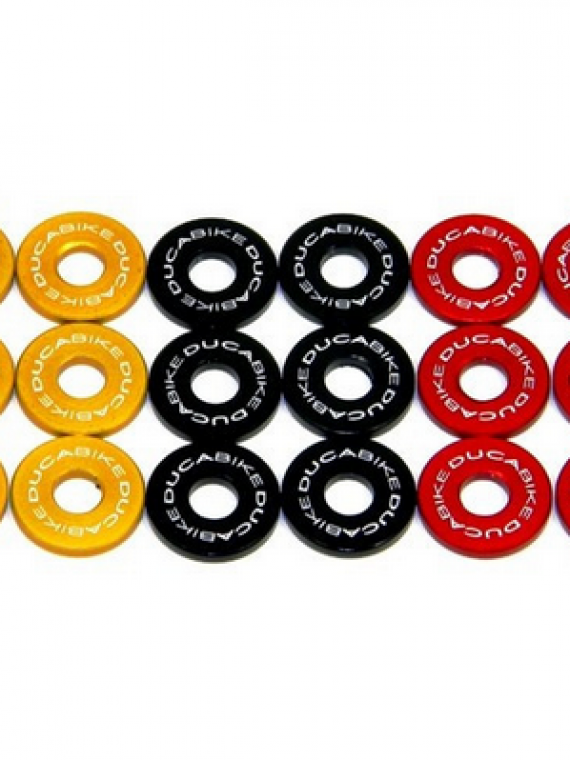 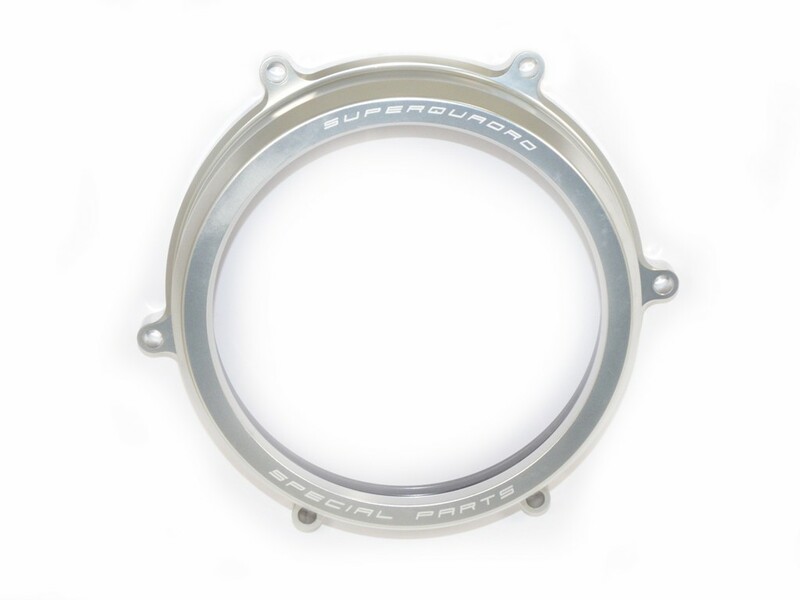 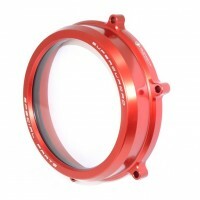 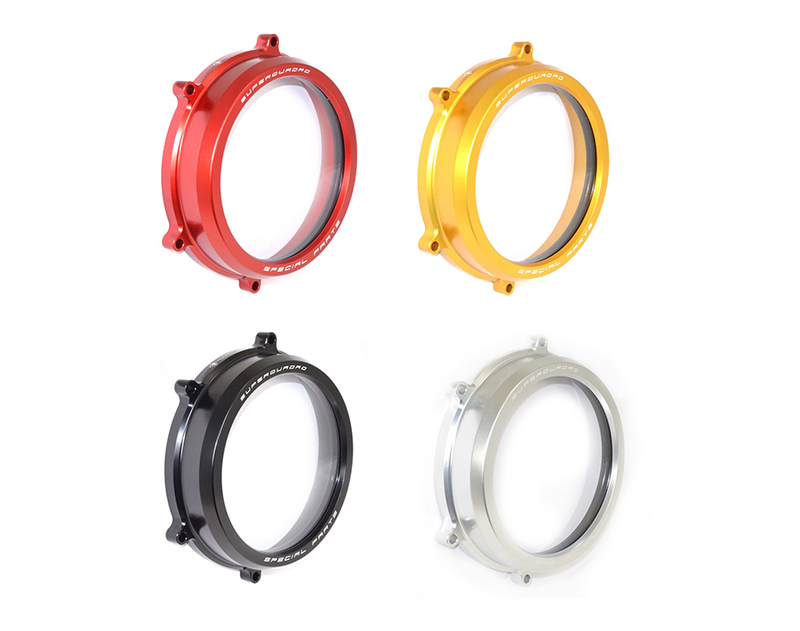 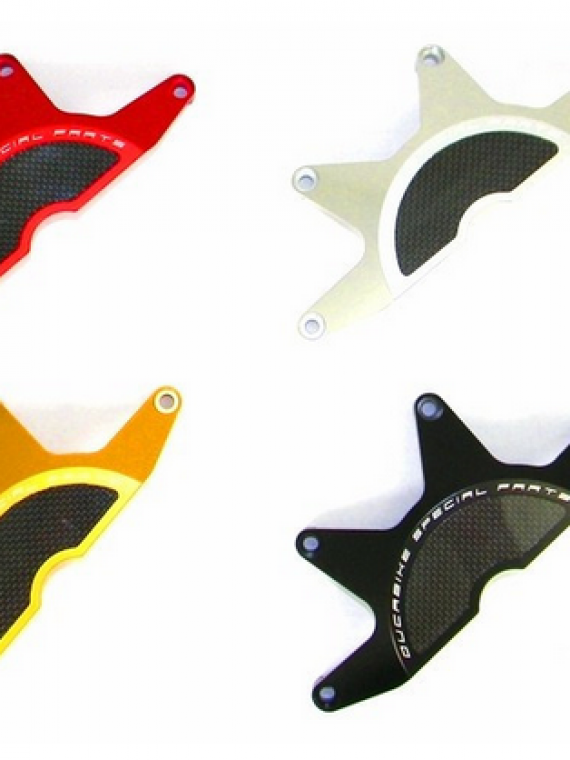 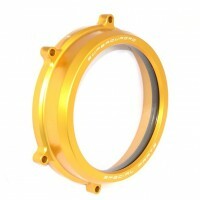 This kit also includes a clutch pressure plate ring in your choice of colour.